Could my child or I suffer from emotional trauma after a dog bite incident? Yes, both children and adults can suffer from emotional trauma and mental anguish following a dog bite or dog attack. These issues could range from a short bout of anxiety and depression, to a more serious case of post-traumatic stress disorder (PTSD), to an ongoing and crippling dog phobia. 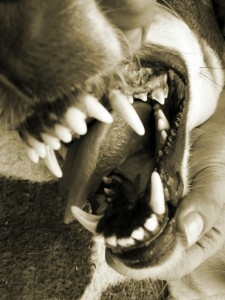 Talk to our Orange County dog bite lawyers if you’ve developed these issues. Some dog attack victims who were severely scarred or disabled also may experience emotional trauma related to their disfigurement or disability. Treatment for emotional issues related to dog bites often involves a combination of therapy, counseling, and medication. If you suspect you or your child has suffered emotional trauma following a dog bite incident, speak with your doctor openly about your symptoms and feelings. Reporting your emotional wounds following a dog attack is just as important for maintaining your health as reporting your physical ailments. If you or your child has been emotionally scarred by a California dog bite incident, the person responsible for the attack also may be responsible for the related costs and consequences—including therapy, medical bills, and emotional suffering. To learn more about securing compensation for dog bite emotional trauma, you may wish to speak with an attorney. Call the Orange County dog bite lawyers at Russell & Lazarus to schedule a complimentary, confidential meeting today: (885) 851-2400.